This kid says she's the only family he's got left. The house they're standing in front of is where Micah killed Skinny and Maddy. How do you know their names are Maddy and Skinney? Was there more backstory then what Mica related to Art? I remember Mica running into the house after Art broke him out out jail, but don't recall any back story as to who those folks were or why Mica murdered them. Micah says them when he runs at the house. He mentions Skinny as an old gang member, and I think he talks about him if you play five-finger fillet with him. Also Skinny is actually a fat guy apparently. Never noticed this before but in the cabin by Lake Don Julio, the words "Eat by knowledge" or something like that appear above the door frame. Wonder what that about. That Tornadoes MIGHT exist. Funnel clouds Definitely do. Was in Scarlett Meadows a while back when the wind really picked up and the sky turned black but there was NO rain or thunder and Lightning. Just strong wind and honestly the clouds started forming this proper funnel cloud. I'm not kidding it almost looked like it was going to touch the ground miles away from where i was. This has happened to me only once since release day. If you think i'm full of crap check youtube because there are a few vids very similar. If you kick a possum it'll die. Once you skin it it'll pop up and run since its only playing possum. There is an area-I'd have to go look on the map but it's the plains between Valentine and Emerald Ranch South of the Kerosene company. Only happened at night but I would swear I could hear a Tornado. Happened several times but the weather changed so rapidly I could never get to a postion to watch 360 degrees. There's a voice in the rocks near The Loft. I often see a bear and sometimes a moose, so thought I would go off the path and see if I could find either one first this time. Nearly jumped out of my skin when the rock asked John how he was. Just spent ten minutes wondering why I cant get Arthur to sit down at his campfire and then it hit me, he wont sit down when its raining/been raining because the ground is wet. Its actually "Eat of knowledge", it's a cheat code and you learned all recipe in the games after you input it. Left foot, right foot, repeat. This is an event triggered after studying a certain number of plants/animals and following a flock of bird that lead you to the location you found. There are 2/3 conversations available with this 'person'. If you have the Civil War Era knife Arthur will use it to cook his food, even though its covered in rust. Mmmmm tasty. If you do the Charles Chatenay mission inside the arts gallerie as John Marston, you can see Arthur Morgans picture on the wall. Actually, I did the mission as Arthur - and Arthur's picture was still on the wall. I think you just have to have completed 'Arcadia for Amateurs' for Albert Mason first, because the photos are from his missions. I never followed any birds, unless they happened to be overhead at the time. I don't recall seeing or hearing any. First time I had gone over there, too. Sadie Adler has a theme that plays in her missions. (E.g Further Questions of Female Suffrage, Ms. Sadie Adler Widow, Gainful Employment, An Honest Day's Labours). If you revisit the gang's camps after getting to (or completing) the Epilogue, you will actually hear the faint voices of various gang members saying things. In fact, if you go to Roanoke Ridge and clear it out a second time, you will hear various quotes from the final mission with Arthur. Like "You left me to die!" and "Get the hell out of here and be a goddamn man!" Can you find a Semi Automatic Pistol in the world? Pretty sure you can't. Bronte drops a mouser in his house when you go to get him but no auto pistol as far as I know of. Was over near Hanging Dog Ranch, and heard a wolf howling, a strange kind of howl, I had to investigate it was so strange. So I approached within 50-75 yards or so, and could see the wolf sitting next to it's dead partner. It would look at it's partner, sniff it, then howl at the moon...a kinda sad, desperate howl. A sad sight I must say...I left quietly and could hear the beast almost yowling in despair as I went off into the distance. Never seen that before, probably will not see it again. You can get a Mauser from a Gunslinger Mission as soon as you start Valentine. Never found the semi-auto anywhere but it might be something used by the cops like in RD1-you could get it as a dropped weapon but not keep it if you died or something silly like that-eventually you got it from one of the end-game missions permanently. 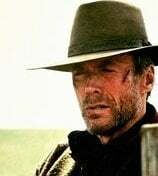 ETA-I'm thinking of the 1911 Colt by whatever name they used in RDR! but since it is well before 1911 the semi might be a Cop gun in RDR2. Do the Police in Saint Denis carry Semi Auto Pistols? Not sure about them having that gun. I do know Angelo Bronte's men carry them. Sorry, I just checked. It's not the Semi auto, it's the Mauser. On each of my new plays of the game, I make my way there as soon as I get to chapter two then I jump the fence by his house and get one lol. 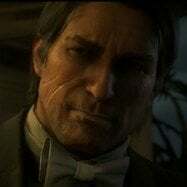 If you donate to the charity in Saint Denis, Arthur's name will be added to the plaque outside the building and John can comment on it. Is that one Upgradeable? I always do the Gunslinger Missions for mine-it's purty but not-upgradeable.